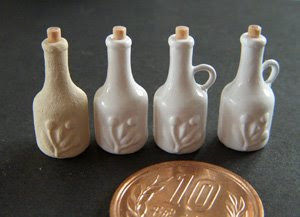 sundry goods from resin clay etc. and miniature teddy bear, too. This blog is my diary about miniature making. 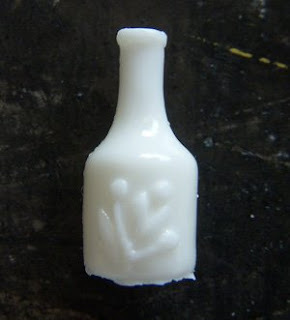 I show you how to make miniature bottle. 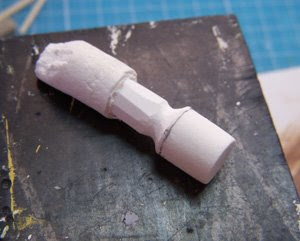 First, prepare a stick made from clay of stone powder (japanese: sekifun-nendo). 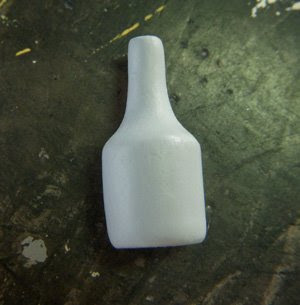 Whittle a piece of stick into a bottle. File the clay stick little by little. Ok. Bottle appeared. But, not finish yet. Spread surfacer on the bottle. Make a olive and olive leaf by clay etc. and spread surfacer once more. 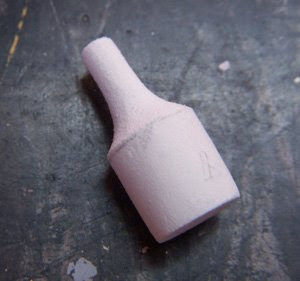 After it dries, file the bottle for smooth a little. 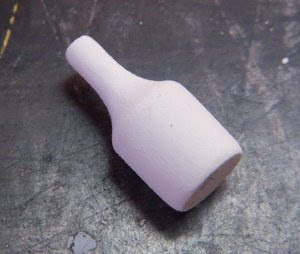 The completion of the mold of the bottle. 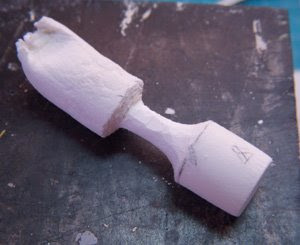 Next, take a mold by silicon rubber. This is the reproduction goods made from acrylic resin. Make beautiful by sand paper. 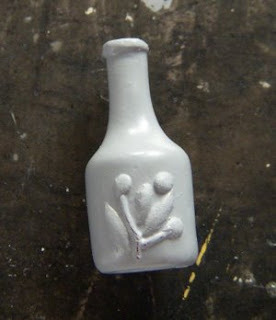 After, color the bottle. Hi! Konnichiha! I like handcraft. Especially, I like making the miniature foods and dollhouse. Those are 1:12 scales. My miniature works are all my handmade, furniture is handmade by myself too, I don't use kit. And I love cute design goods. My web site. If you have interest to my works, please visit to my web site. 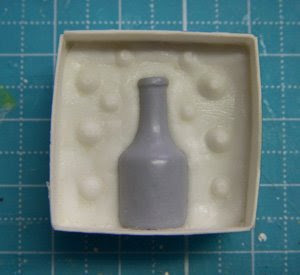 I have used resin clays (air dry clays) to make miniature foods “Grace, NISSHIN ASSOCIATES INC.” and “Hearty, PADICO”. And I have used stone clay "Premier, PADICO" to make model of plates etc. Once clicked, this icon will open a mail form. Copyright (C) 2008-2015 by My world on the table (tomohachi) All Rights Reserved. Seasons at Epcot - I was a little full this day and only took photos of the foods I wanted- drinks and desserts....OOPS!